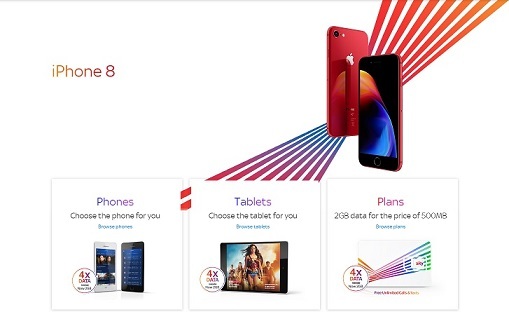 Sign up for free and just shop with Sky Mobile as normal. Our average member earns over £300 cashback a year. Sky Mobile orders that are not activated within 80 days of purchase will be declined. This program is being monitored, so any abuse of the terms in any way may result in your account being terminated. The vast majority of transactions from merchants track successfully, occasionally a transaction may not get reported. If you believe this to be the case, please submit a "Missing Cashback" query within 60 days of the transaction, we will be unable to chase up claims older than this. Cashback is only available to residential customers who sign-up/upgrade online from start to finish and automatically processed. Minimum 12 month contract applies. Sky Mobile cashback can be earned simply by clicking through to the merchant and shopping as normal. Sky Mobile Cashback is available through TopCashback on genuine, tracked transactions completed immediately and wholly online. When additional items are offered, these can be found by clicking on 'Choose Accessory' pop-up. Please add the item to your basket. Thanks to the Sky Mobile phone deals available, you can get your hands on the latest devices or grab one which will give you what you want for a great price. When searching for your ideal phone, you can arrange results by recommended handsets or price, while you can also search by manufacturer if you are looking for an Apple iPhone, Samsung Galaxy, Sony Xperia XZ2 or Huawei P20 Pro. You can also select what colour handset you want and how much storage you need, and also specify how much you would like to spend per month. If you are looking for a tablet, meanwhile, you can view Apple iPad and Samsung Galaxy Tab models. Whatever you are thinking of buying, sign up to TopCashback and you can get some money back with our Sky Mobile offers. There are various options available to you when it comes to the types of contracts offered by Sky Mobile. First, you will need to choose how much data you would like. Go for as little as 500MB if you just need to browse, email, use apps or update your social media, while 2GB is perfect if you are online often and love to stream music. Opt for 5GB if you can't stop watching YouTube videos, while 10GB will allow you to download whole albums, play games and much more. Once you have decided on the amount of data you want, you will need to choose your calls and texts package. If you are a Sky TV customer, you will get unlimited calls and texts for free. If you are not and you do not want to pay for this, you can opt for the pay as you use option, with calls charged at 10p a minute and texts costing 10p each. After that, you can add one of the latest mobile phones or a tablet, and specify after how many months you would like to upgrade it. You might find some amazing Sky Mobile phone deals, while you will be able to check out the call rates in the Sky Mobile tariff guide. There are many great reasons to join Sky Mobile. Thanks to Swap, you can get the handset you want, whenever you want as it allows you to upgrade to the latest mobile phone - or the lowest price - every year. There are no charges and it is easy to choose from a range of fantastic devices. Other benefits include the fact you can change your mix of minutes, texts and data when you need to and roll over any unused data, meaning it will still be there when you need it, while Sky Mobile offers you the chance to manage your own data to ensure you will not run out or have to pay unexpected charges. View superb Sky Mobile deals, while if you need any help, you can contact their customer service team via their website. With Sky Mobile, there are a host of possibilities as they are the only network which allows you to roll over all of your unused data, change your phone every year and mix up the allowances on your plan. Your unused data can be rolled over for up to three years. Yes, three years. This means that you can be sure you will have plenty when you need it the most. If you know you are not going to use it, however, you can also cash it in for various rewards, or share it with up to five SIM cards on the same account. If you love being able to get your hands on the latest mobiles, their Swap12 and Swap24 plans allow you to choose between the newest handset or their lowest per month price. Sky TV customers can talk and text for free on any Sky Mobile plan, and as you can have up to five plans, you and your family can save up to £600 a year. If you find you are not using your minutes or find you run out of data, you can create a plan which is right for you and change it whenever you like, while, if you are a Sky TV customer, you will get Sky Go Extra included with Sky Mobile to ensure you never miss your favourite show again. Already A Sky TV Customer? Sky TV customers can take advantage of some great Sky Mobile deals, including free unlimited calls and texts with any of their monthly data plans. If you already have a Sky+ box, meanwhile, you will also be able to sync any recordings with your device to create a personal playlist of everything you like to watch. Having unlimited calls and texts as a Sky TV customer will allow you and your family to talk or text as much as you want. All you will need to do is choose the Unlimited Calls and Text plan when you check out. Customers with a Sky+ box can also stream shows over 4G if they are out or download over Wi-Fi to watch later without using their data. Just download the latest version of the Sky+ app, connect to your home Wi-Fi and Sync will automatically create your own playlist. Sky Mobile offers you a smart new way to manage your own data – whether it’s Mixing your plan to suit your needs, or Rolling over data you haven’t used. So you’ve got the peace of mind of knowing you won’t run out of data and you'll never be hit by unexpected charges. What’s more, Sky TV customers can talk and text for free with any plan.